1. CSX 5458-42-931 on e/b intermodal train Q008 on the Indianapolis Line SD (ex-NYC) bangs across the Columbus SD (ex-C&O). There was a large contingent of UPS piggybacks on this train. Marion OH. 2. 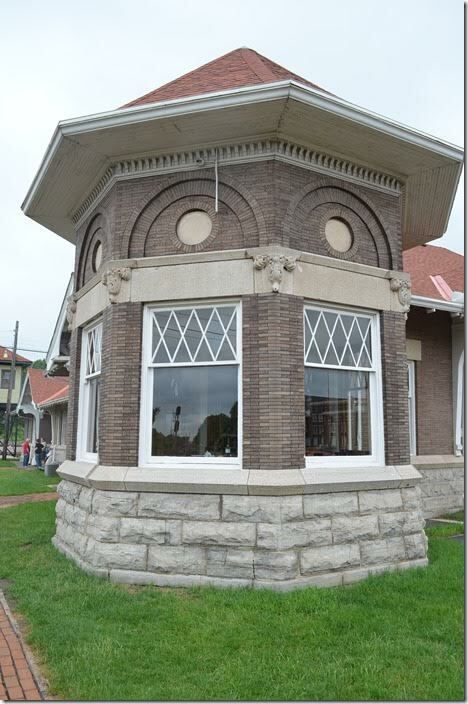 Northwest corner of Marion depot fronting the C&O. C&O-Erie-NYC depot. Marion OH. 3. 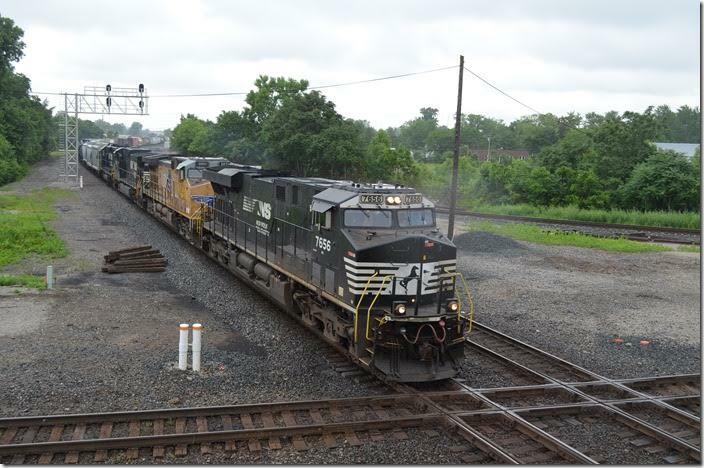 NS 7656-UP 5821-9945-3333 on e/b 169-19 (Conway to Birmingham) with 26 loads and 23 empties. I wonder if this train didn’t use the Chicago, Fort Wayne & Eastern between Crestline and Bucyrus. 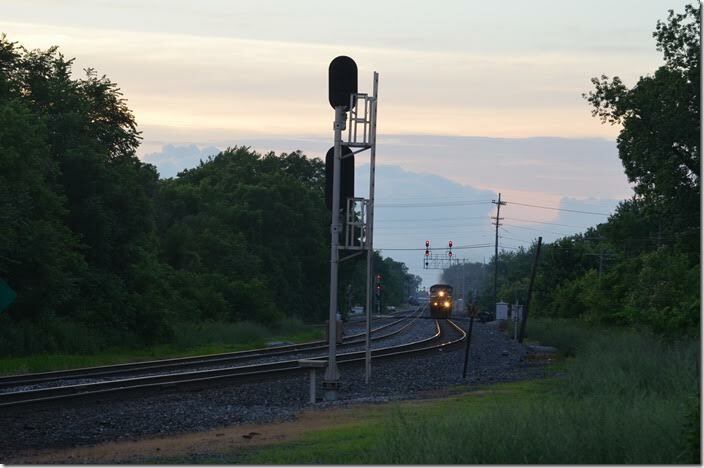 This would be the former PRR main line that CSX owns. CFE is part of Genesee & Wyoming Inc. Marion OH. 4. 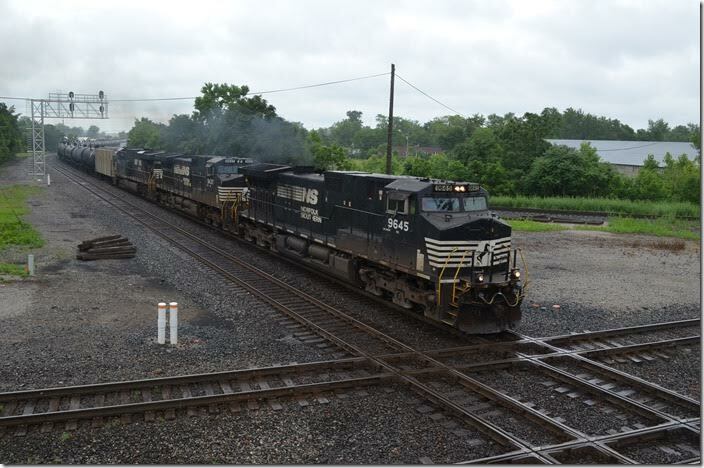 NS 9645-9437-7564 on e/b ADM ethanol train. Marion OH. 5. NYC cab 21293 Marion OH. 6. 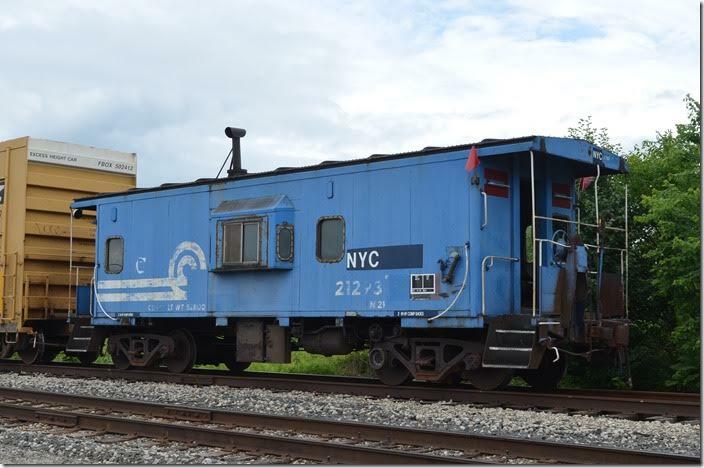 NYC, ex-CR, cab 21293 on the end of a local freight on what may have been the former Erie branch to Dayton. Marion OH. View 2. 7. CSX 7627-8593 on e/b loaded multi-level train Q254. The former Erie-Lackawanna yard is on the right. Marion OH. 8. AC Tower and the Marion union station are in the background. 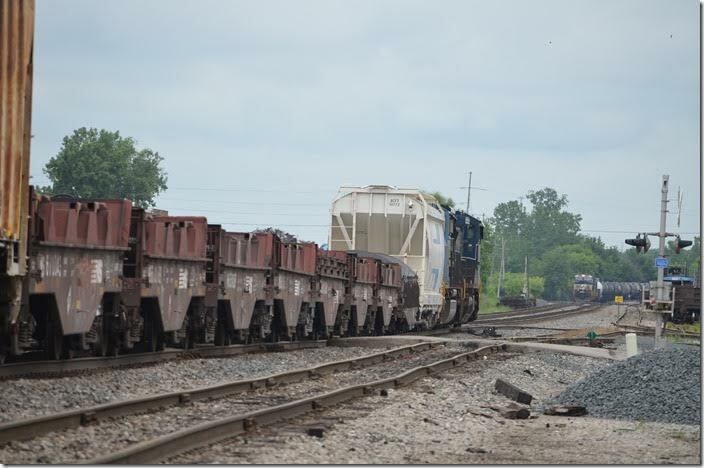 The CSX connection between the Indianapolis Line SD and Columbus SD is in the foreground. 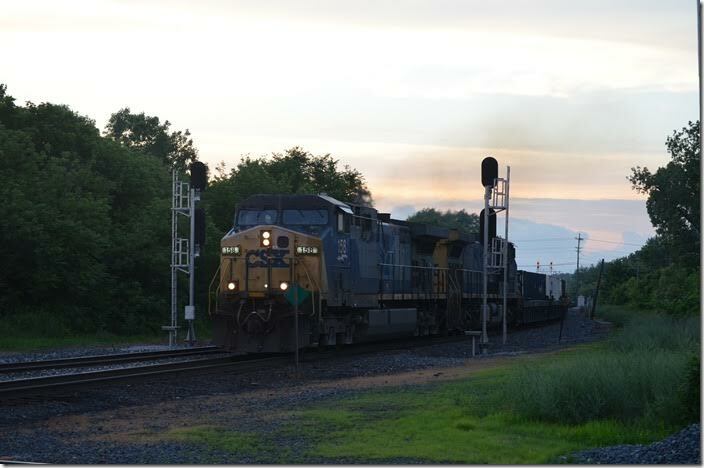 CSX 7627-8593. Marion OH. View 2. 9. You can see just about anything at Marion. 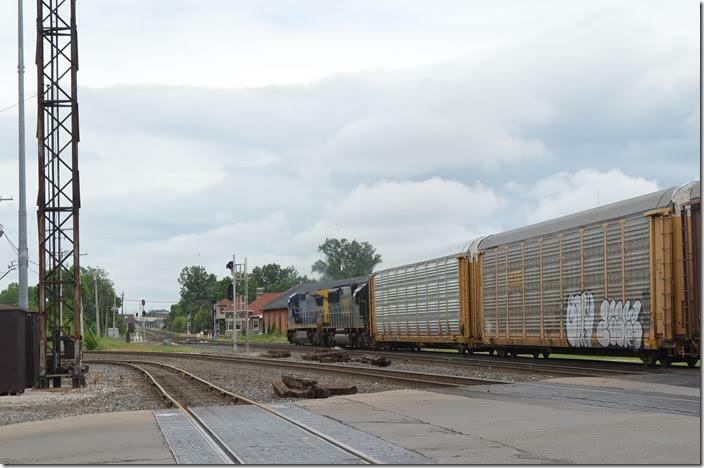 CSX 7893-4828 power NS freight M16-19 (Chattanooga-Bellevue) with 18 lds/122 mtys on the Sandusky District. Marion OH. 10. Another e/b waits in the distance. CSX 7893-4828. Marion OH. View 2. 11. 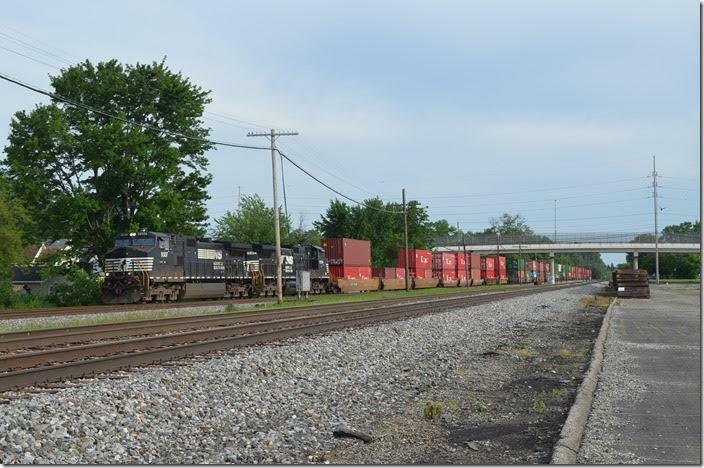 Later in the afternoon, we caught NS 9307-9894 on w/b intermodal 235-20 (Rickenbacker, OH to Colehour, IL) with 56 wells. 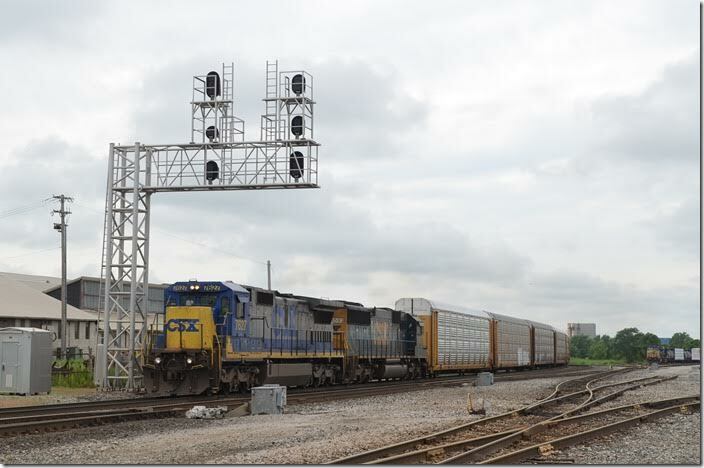 Rickenbacker intermodal terminal is just south of Columbus at Lockborne. 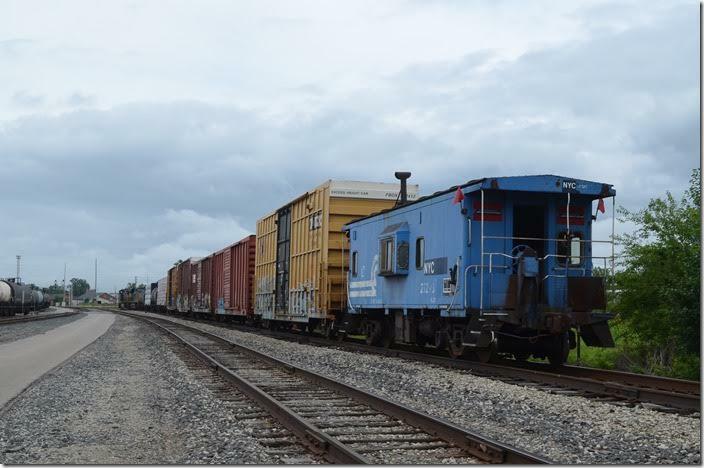 Colehour is a former PRR yard in Chicago. Marion OH. 12. 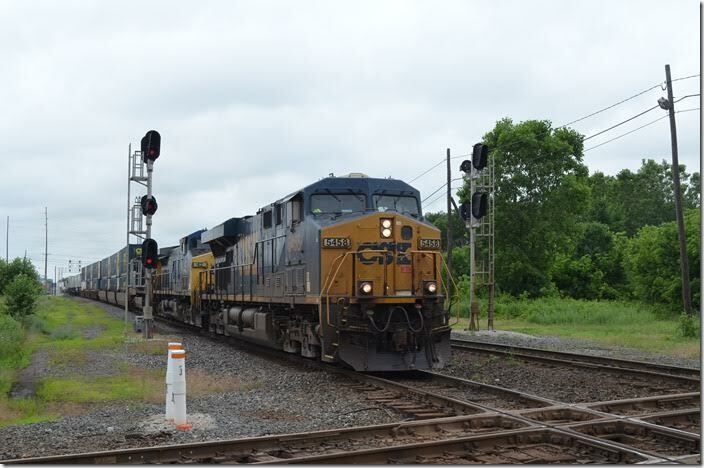 CSX 158-226 rolls east on the former C&O with single stack Q136 with 175 wells. Marion OH. 13. 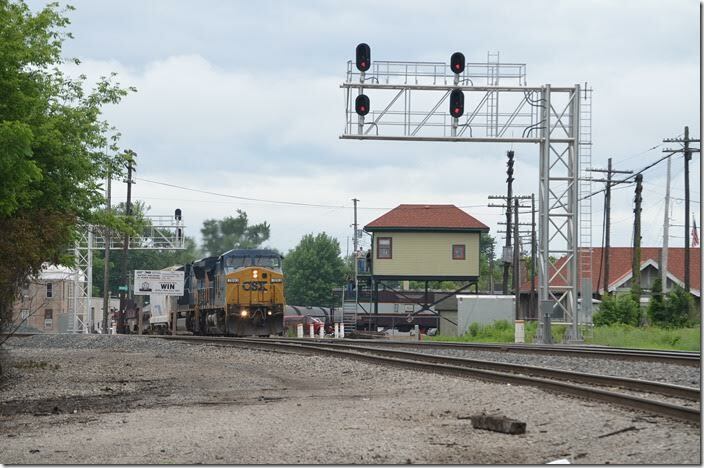 CSX 158-226 Marion OH. View 2.